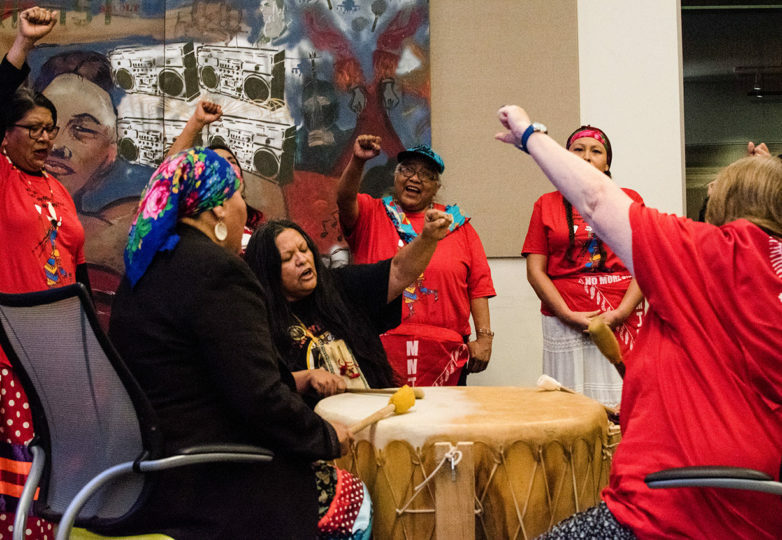 Local Indigenous communities and their allies came together at U.C. 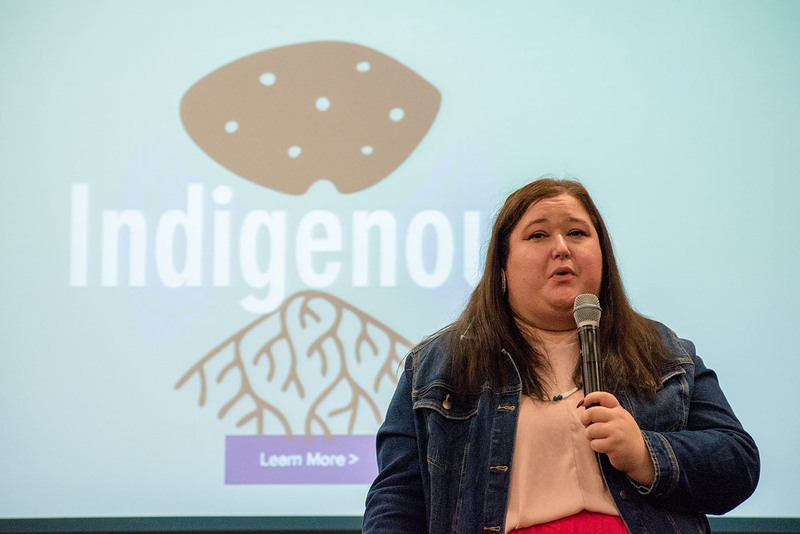 Berkeley on Jan. 18 to celebrate the launch of the Sovereign Bodies Institute (SBI), a new home for research that aims to address and counteract violent crimes against Indigenous peoples. With Native American cuisine from Wahpepah’s Kitchen and performances by the Red Lightning women’s drum group, the reception introduced attendees to the Indigenous scholars and community leaders that make up SBI. 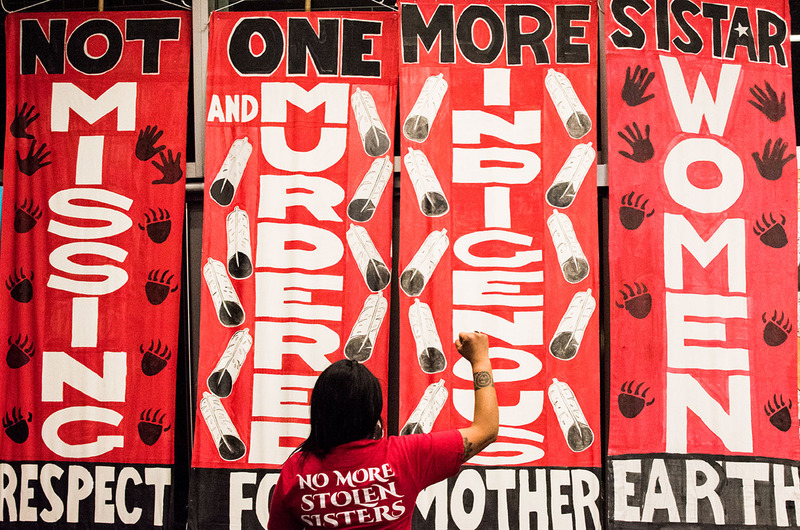 SBI will work alongside Indigenous organizers and scholars, community establishments and tribal nations to track violence against Indigenous communities. Its goal is to empower communities to mobilize against ongoing violence by improving services for survivors of violence and providing deeper understandings of sexual and gender violence against Indigenous people. Funded by Seventh Generation, SBI has offices in Oakland and Humboldt County. SBI Executive Director Annita Hetoevehotohke’e Lucchesi expressed gratitude Seventh Generation, her colleagues and the community for their ongoing support. The impact of MMIWG upon its Nov. 14, 2018, release was immediate, and the report has since influenced policy at the national level. In response to its release Congress amended Savanna’s Act (named for Savanna LaFontaine-Greywind, a Native American woman who was eight months pregnant when she was abducted and murdered) to include tasking multiple agencies with tracking and annually reporting data on missing and murdered Indigenous women and girls, including those from urban areas (who had previously been excluded). 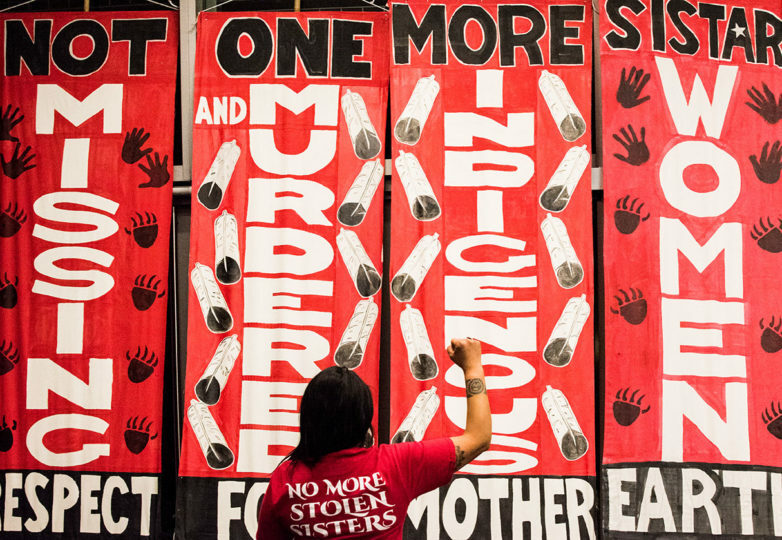 Among many other findings, MMIWG concluded that in 2016, only 2 percent of the 5,712 reported cases of murdered or missing Indigenous women and girls were logged into the U.S. Department of Justice’s database. More than 95 percent of the cases tracked in their findings went unreported by the national and international news media. 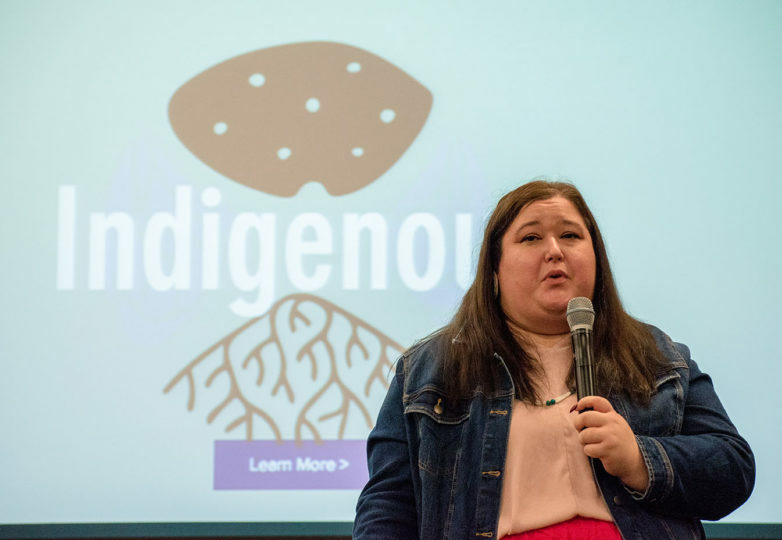 Lucchesi came up with the idea for a database of MMIWG five years ago as she was typing her doctoral thesis while coping with her own abusive relationship. It was at that time she realized that there were no reliable records of Indigenous women who were missing or slain. “I was so angry that if my abuser killed me, it wouldn’t have any meaning because my story wouldn’t be used because there was no place to hold it,” Lucchesi said. With her left hand broken by her abuser at the time, Lucchesi typed her findings as a part of her 156-page doctoral thesis. With the establishment of SBI, the original MMIWG database will continue to be expanded upon. Karina Bañuelos, program specialist for MMIW, will take charge of expanding the records to women and girls native to Latin America and Mexico. 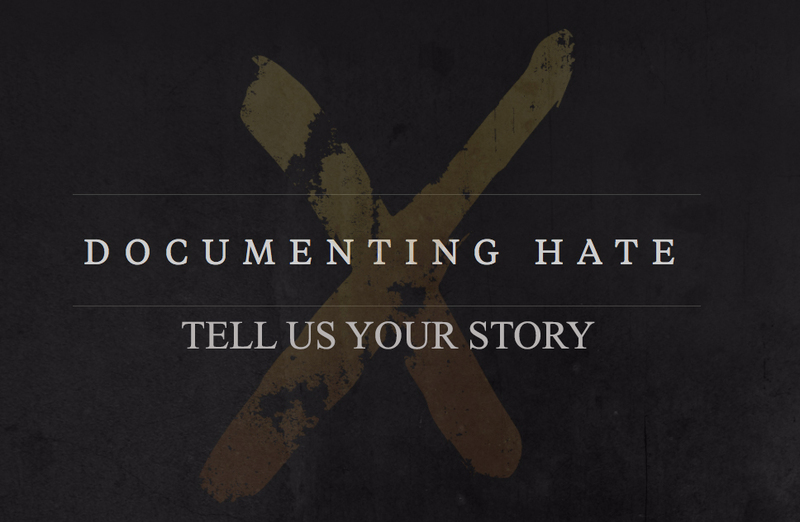 “By bridging this gap and weaving together all the histories that are very sacred and violent and troublesome, I feel very honored to be able to … bring names forth of the people that have been lost and to do justice by my ancestors,” Bañuelos said. Some attendees themselves had personally been devastated by the violence SBI works to address. Activist Josey Tenorio, who performed with the Red Lightning women’s drum group, recalled through tears that her own sister was murdered.